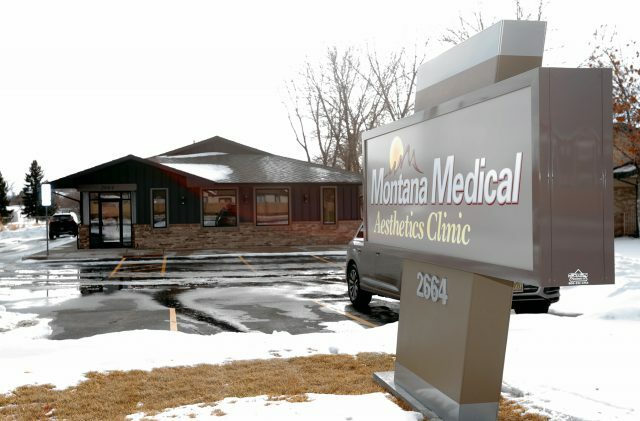 Color and lighting were two key components at the construction of 2664 Grand Ave. Owners Char and David Ayre, of Montana Medical Aesthetics, wanted a lot of natural light and warm, inviting colors to create a relaxing and homey setting for their patients. When you first walk through the doors, a teal accent loveseat pops in color against earthy tones of russet door frames and sandy-fawn paint. Opposed to the loveseat are lush ivory lounging chairs and electronic fireplace to make clients feel at home.